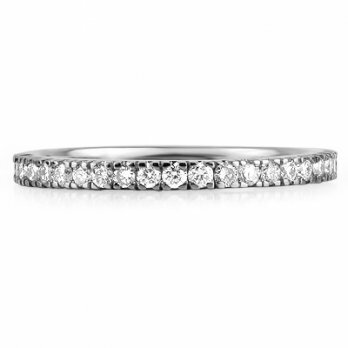 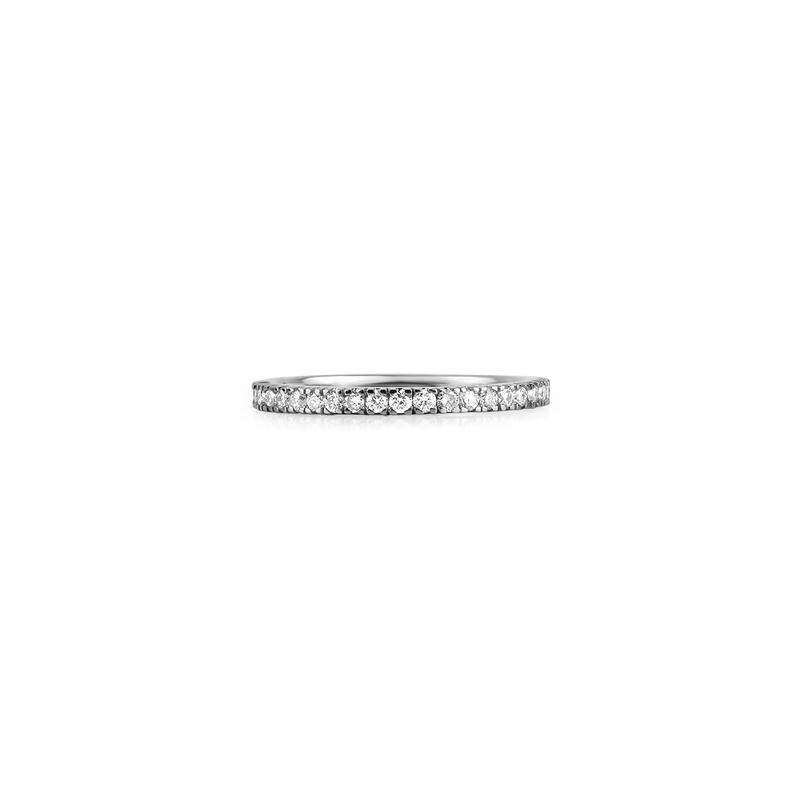 This stunning full eternity ring is delicately crafted from platinum set with G colour, VS clarity round brilliant cut diamonds. 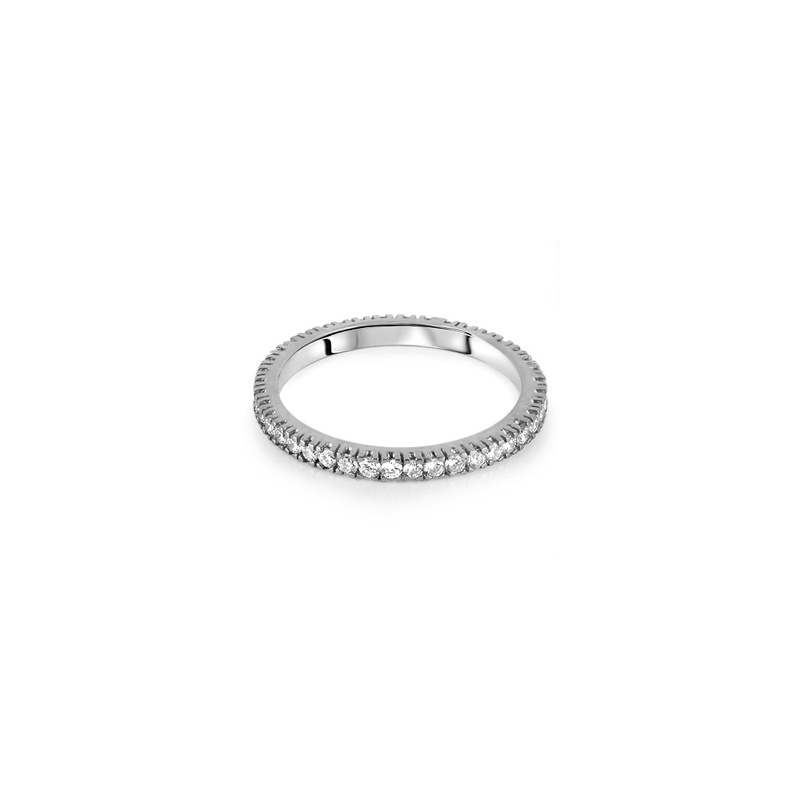 Each ring is hand-made to your finger size, this design looks particularly stunning when more than one is worn together in a fashionable stack. 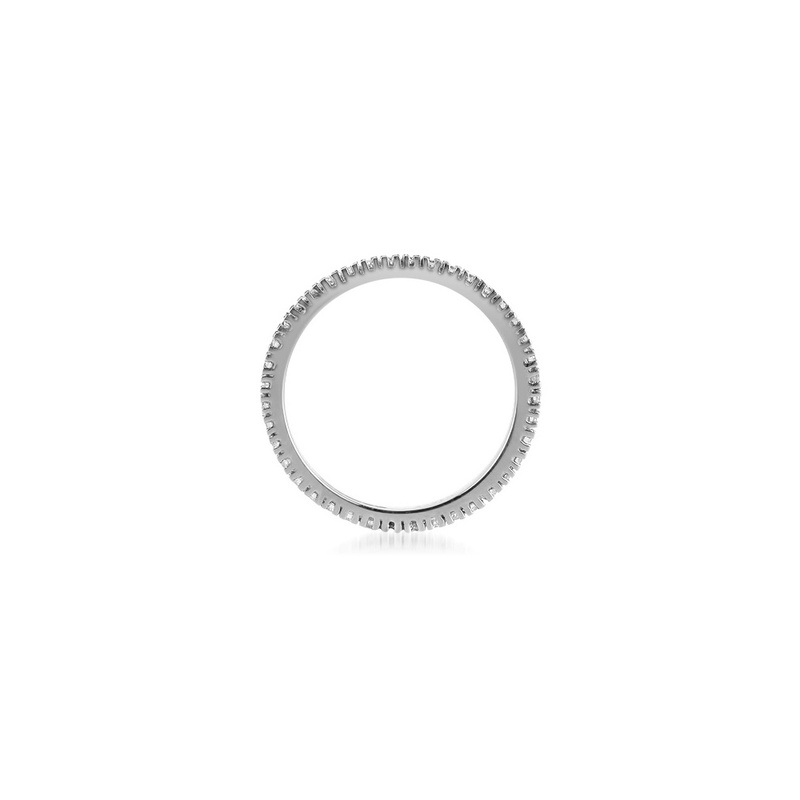 If you are unsure of your finger size we can send you a ring sizer via post.